Loish's new Kickstarter has launched! Limited signed copies and prints are on offer for supporters. Internet sensation and IFX favourite Lois van Baarle, aka Loish, has launched a brand new Kickstarter project. Her new fan-funded book, The Sketchbook of Loish, allows you to delve into her personal sketchbook and see first-hand how she brings her iconic works to life. 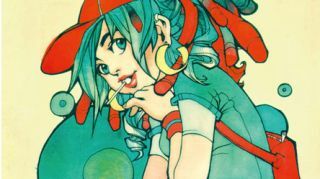 Loish has worked as a concept artist and illustrator for the likes of Lego and Coca Cola and her unique designs and self-styled career pathway has proven a major influence on the digital artist community. Last time the visual virtuoso launched a book on Kickstarter, she surpassed her target by hundreds of thousands of pounds and has since become one of the most followed artists on social media. The campaign goes live today, so if you want to be in for a chance to win any of her exclusives, head over to Kickstarter and get backing her without a moments notice!